The 2755's welcoming covered entry opens to a charming foyer with tray ceiling and an impressive view of the family room with the beautiful covered porch beyond. The well-equipped kitchen overlooks the bright breakfast room and is highlighted by a large center island with breakfast bar, ample counter and cabinet space, and a generous walk-in pantry. The sophisticated master bedroom is complete with a stunning tray ceiling , huge walk-in-closet and a spa-like master bath with dual-sink vanity, large soaking tub, luxe glass-enclosed shower, linen storage and a private water closet. Sizable secondary bedrooms each feature walk-in closets, one with private full bath, the other with shared full hall bath. Additional highlights include a versatile spacious study adjacent to the foyer, centrally located laundry and additional storage space. Chandler Crossing is located just south of Randolph Air Force Base. An enclave of luxury homes in the beautiful rolling fields and plains of eastern Bexar County. With large half acre plus homesites, you’ll experience quiet privacy in this magnificent country setting. Chandler Crossing is located just south of Randolph Air Force Base. 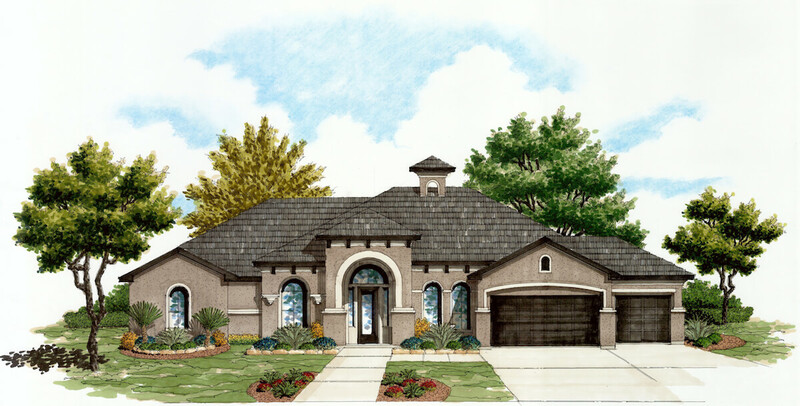 An enclave of luxury homes in the beautiful rolling fields and plains of eastern Bexar County. With large half acre plus homesites, you’ll experience quiet privacy in this magnificent country setting. Only 65 lots will be available in Chandler Crossing. Texas Homes offers spacious one and two-story contemporary designs from 2,755 to 4,408 square feet that feature 3-car garages. These gracious homes can be customized to fit your family’s lifestyle…add a casita, enlarged patios or decks, bonus rooms, media rooms, oversized showers, or a home office. Texas Homebuyers will be able to personalize their new homes at our Design Center. With the help of our professional design center consultant you will be able to choose from thousands of selections for flooring, cabinetry, lighting, fixtures and more. We'll help you find your dream home right here just 15 miles east of downtown San Antonio and close to interstate highway IH10, IH35, IH37 and Loop 1604 make any commute convenient. Like most luxury enclaves you will find the surrounding area conducive to shopping and outdoor activities such as golfing, biking, tennis, hiking. Other life enriching institutions and opportunities are close at hand here as well. At Chandler Crossing, you truly can have it all … luxury, serenity and convenience. The schools for Chandler Crossing are Copperfield Elementary School, Judson Middle School, and Judson High School.